For any help feel free to connect us directly. 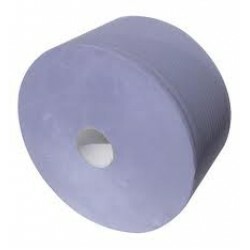 3-ply Blue Jumbo Roll (1 roll)Recycled pulpIdeal for many applications..
Blue Forecourt Rolls 2-ply x 2 Rolls.. Kitchen Rolls 2-ply (24 rolls) Kitchen towels are ideal for use where a conventional kitchen roll..